The hipposandals are to be displayed at the Roman Army Museum, in Greenhead, England. 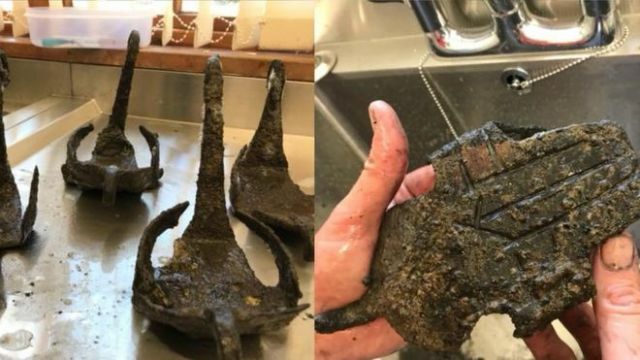 A full set of 4 Ancient Roman horseshoes known as hipposandals has been found during excavations at the Vindolanda fort near Hadrian’s Wall in Northumberland in the UK. Vindolanda was an Ancient Roman auxiliary fort located right south of Hadrians Wall in Northern England, which was under Roman occupation from about 85 AD until 370 AD, according to archaeological findings. Vindolanda recently made headlines with the found of an extremely rare pair of Roman leather boxing gloves. 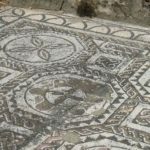 The hipposandals are largely well preserved but one of them has a hairline fracture, BBC News reports. They have been found by a volunteer – about 250 volunteers participate every year in the archaeological excavations at the Vindolanda fort near Hadrian’s Wall. The newly discovered Ancient Roman horseshoes are dated to the period between 140 AD and 180 AD. 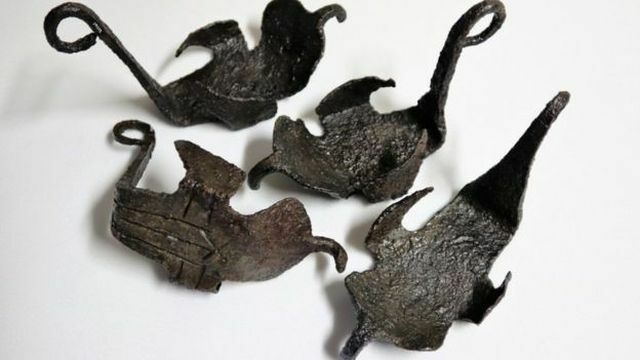 The discovery of a full set of 4 iron Roman hipposandals is “incredibly rare”, according to Barbara Birley, curator at Vindolanda, near Hexham, in England’s Northumberland. 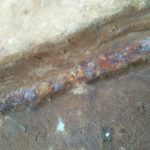 Birley points out that the Ancient Roman hoof protectors are so well preserved that their tread to stop horses slipping is clearly visible. She notes that because the Romans were in Britain for between 400 and 500 years, teams could dig at the Vindolanda site for the next 150 years and still unearth Roman treasures. 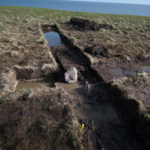 “Basically, over the years, 9 forts have been built on this site – every time new Roman arrivals came, they covered over the remains from the last fort with clay and turf to make solid foundations for their fort,” Birley explains. 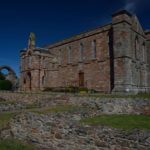 “This means things were well preserved. One of the hipposandals has a hairline fracture so the set may have been thrown in the ditch because one was damaged,” she hypothesizes. The set of hipposandals will go on display at the nearby Roman Army Museum, in Greenhead, in February 2019 when the museum reopens. The world famous Hadrian’s Wall built in Roman Britain had a total length of 117.5 km (73 miles) Nowadays it figures even more prominently in popular culture since it has served as the model for the Wall built for stopping the White Walkers in ‘Game of Thrones’ / ‘Song of Ice and Fire’). The other Ancient Roman border wall in Britain, the Antonine Wall in Scotland, was shorter, and spanned a total of 63 kilometers (39 miles). The Ancient Bulgars of the early medieval 1st Bulgarian Empire (632/680 – 1018) built a similar defensive facility as a line of defense against the Byzantine Empire in what is todays Southeast Bulgaria: the Erkesiya border wall / rampart. 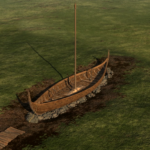 The Erkesiya spanned 142 kilometers (88 miles) from the Black Sea coast to the valley of the Maritsa River, and, by extension, the beginning of the Rhodope Mountains, and was in use for several centuries, until the High Middle Ages.